Anonymous called. So I answered the phone. 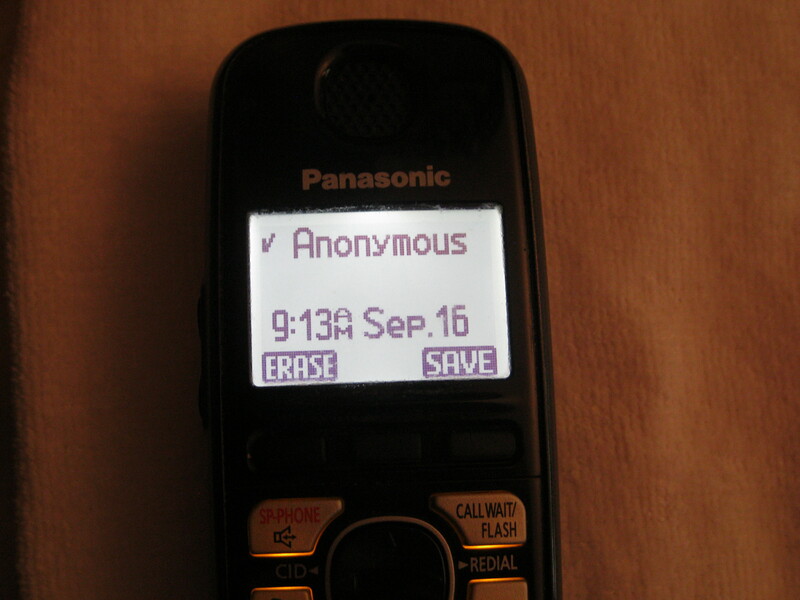 When I saw “Anonymous” in the caller id screen, I assumed it was a telemarketer. Normally, I let these calls go to the black hole that is my voicemail. But I was feeling fiesty, and I decided to pick up the phone. Whoops. Dr. S is an Oncologist who I just met yesterday. I was referred to her because there were two cancerous tumors found in my lymph nodes after my mastectomy. “Okay, thank you.” I was still stunned and trying to digest this news. Yikes. What a pinhead I am. “No, no, we don’t think that about anyone.” She laughed. I was slightly relieved. I guess when doctors deal with cancer patients, they encounter all kinds of personalities. Even mine. So I’m waiting by the phone for the chemo class schedule. Anonymous. Yes that is what I wish I was after saying STUPID things to the doctor. Just Anonymous. I underwent surgery the same week as Joan Rivers, but I woke up. I think that just shows that you still have a sense of humor…sounds like it broke the ice with the oncologist too. You are fighting for your health so don’t be upset when you do something YOU think is cringe-worthy. Take care of yourself and let everything else take care of itself…. Hi Terri, yes my sense of humor is still here thankfully. I’m doing the best I can….which as you can see, is yikes, sometimes very cringe-worthy!